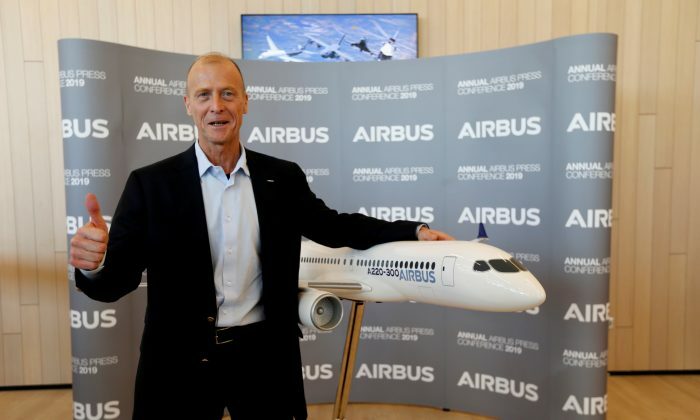 PARIS—Airbus dismissed more than 100 people and issued more than 300 warnings for ethics or compliance reasons in 2018, two people familiar with the company data said, as it conducts a wide-ranging internal crackdown and deals with outside fraud probes. “Airbus shareholders are still waiting for full disclosure on the allegations of bribery and corruption cases of the past. For the future, Airbus (has) enhanced compliance standards to prevent further incidents and the company seems to be on the right track,” Frankfurt-based fund manager DWS said. “I am today much more optimistic about the company managing these difficult issues than frankly, I would have been a year ago,” he told a Feb. 14 news conference. Staff malaise turned to anger when it was reported last week that Enders retires on April 10 with a total retirement package of almost 40 million euros over 20 years. The Airbus spokesman defended the pension package, which is expected to be raised at an annual meeting on April 10.